These are beautifully designed men's sunglasses for those men who want to make a statement and stand out from the crowd. These plastic sunglasses are perfect if you live an active life. They're lightweight, smart looking, and made out of a blend of high-quality plastics. Eyeglasses without nose pads might be a good solution for you if you have a higher nose bridge. Square frames are ideal if you've got a rounder face. These angular frames don't make a flashy statement, because you'll be still able to stand out despite this simple Burberry BE4181 eyewear look. 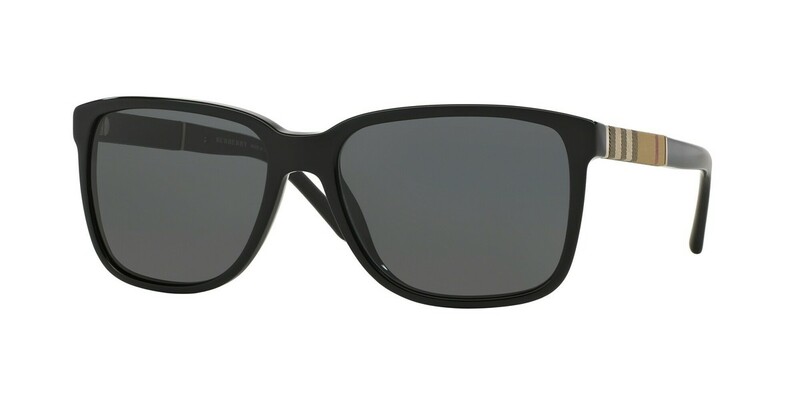 Be at one with yourself and know you'll turn heads and get the respect you deserve with these understated frames - these square sunglasses will help you go places. If you're looking for real freedom, it really lies in being bold, and that's what you can do with these fashionable bold frames that will set you apart from the rest. For those of you, who have triangular-shaped faces, you should opt for top-heavy Burberry BE4181 sunglasses with high temples such as these to bring about more of a balance.